The other major leak was the emails of Hillary Clinton’s campaign chairman, John Podesta. While likely not causing as much political damage as the hackers intended, the slow stream of leaked emails focused the news cycles for several weeks and reinforced negative perceptions of the Democratic candidate and her campaign. The US government response has been the most interesting and important aspect of these episodes. In early October, the Office of the Director of National Intelligence and Department of Homeland Security released a joint statement labelling the Russian Government as the actor behind the hacks. The intention behind the statement was likely the same as similar statements regarding Chinese hacking of US government defence contractors and businesses: publicly accusing a foreign government of these sorts of operations is the warning shot before further action is taken. 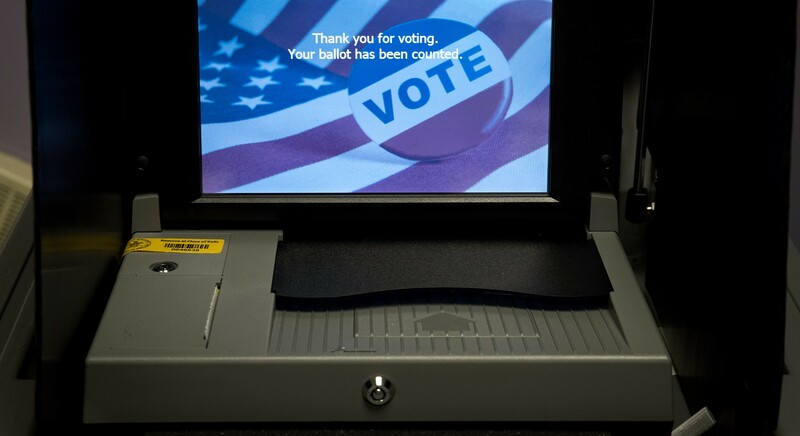 Widespread manipulation of votes through cyber means would be nearly impossible in the US, as each state government is in charge of their voting processes, meaning there are 50 separate systems. Such an attack would also require physically tampering with some of the polling machines. But more targeted and strategic incidents are a real risk. Cyber attacks involving a few critical swing states would be enough to cause mass disruption. An attack like the distributed denial of service (DDoS) attack on the internet infrastructure company Dyn late last month, the largest of its type ever recorded, is another possibility. That particular attack brought down connections to CNN, The New York Times, CNBC, Twitter, Reddit and dozens of other sites at the same time. In a close and politically tense election, disruptions to media organisations could more easily allow the spread of false information on social media. If foreign intelligence agencies are behind the leaked emails, as the US government says, they could also encourage the sharing of false news stories and information. While these efforts wouldn’t change the outcome of the election, at a minimum it would be a propaganda victory for those seeking to damage the legitimacy of the process, energise the populist trends that have been the hallmark of this election season and spur conspiracy theories. The use of cyber operations at this scale is unprecedented. That is likely the reason why late last week NBC News reported from a government source that the US had ‘penetrated’ Russian infrastructure, including its electricity grid and national command systems. This is something most cyber experts assume governments have done for years, but to publicise it is another signpost. The rules around cyber space are still being written. What, if anything, happens on election day will be an important episode to see whether some of those rules stick.